Coverage elsewhere of the interruption of yesterday's Jerusalem Quartet concert at London's Wigmore Hall by pro-Palestinian demonstrators. Not only should the Israelis be asking why such protests happen, they should also be asking why support for the protesters is increasing. 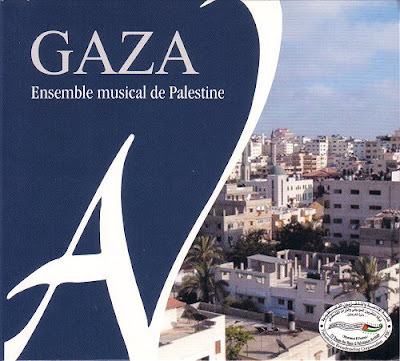 Header image is the CD of Palestinian classical music recorded in Gaza in 2006 by Ad Vitam Records, a company that believes in solving problems by working together rather than by disrupting concerts or by targetted assassinations. The best way to get to know a new music is to trust those who play, not to make money. Those musicians seem to play to survive. And yes, there are two sides to any argument.